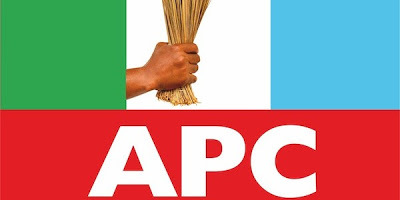 APC Condemns Rivers, Kwara, Kaduna New Year Attacks – Royal Times of Nigeria. The All Progressives Congress (APC) on Tuesday condemned the attacks on worshipers on New Year day in three different states across the country. The party said the attack in Taiwo Isale area of Ilorin, Kwara State and Omoku community in Ogba/Egbema/Ndoni Local Government Area of Rivers State, which led to deaths of many is gruesome and barbaric. The Party also condemns the killing of the traditional ruler of Numana, Gambo Makama and his pregnant wife by unknown gunmen on New Year’s Day in Sanga Local Government Area of Kaduna State. The party in a statement signed by its National Publicity Secretary, Bolaji Abdullahi said the attack is condemnable and their thoughts and prayers are with the victims including their friends, families. We also condole with the government and people of the affected states. Preliminary reports according to the APC link the attacks in Kwara and Rivers State respectively to hoodlums and cultists in the reported areas. The party, therefore, called on relevant security agencies to embark on a full investigation to unravel the perpetrators and make sure they face the full wrath of the law.